French electronic music pioneer Jean Michel Jarre is an artist who requires a reintroduction every generation. Despite his massive success in the '70s and '80s, including his world-record-attendance-setting 1978 concerts at the Place de la Concorde in Paris, Jarre's impressive and influential catalog lacks the ubiquitous status of similar innovators Kraftwerk and Giorgio Moroder. 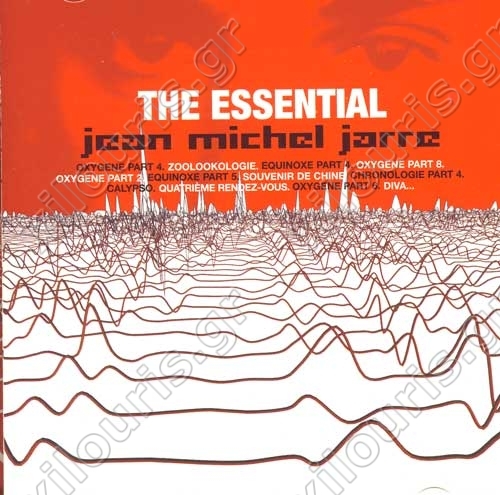 Granted, most of Jarre's most infamous work lacks the machine dance pulse that has kept his peers in a brighter spotlight. Instead, Jarre's most popular recordings can be heard echoed in the incredibly popular, yet criminally underhyped world of new age music, where his glistening synth sounds and classical ear for composition had a broader impact. But that doesn't mean the Jarre's music isn't "cool." His seminal "Oxygene Part 4" indicates the loping stride of the extremely hip Kompakt sound, while 1984's "Zoolookology" is classic electro with its own quirky twist, not a far cry from the quirky electro throwbacks being heavily peddled today. At his worst, like on 2000's "C'est la Vie," Jarre mimics the sound of insipid electronic trance music. But at his best, such as the geniusly gated bass on 1986's "Diva," he paved the way for virtually every mode of electronic music well before there were genre classifications to place each little nuance in. And it's essential that yet another wave of digitally keen music lovers rediscover his extraordinary canon.